Homeowners who put time, money, energy and love into preserving old homes don’t do it for a prize, or even praise. They do it because they love Westport’s past. They want to honor and keep it. 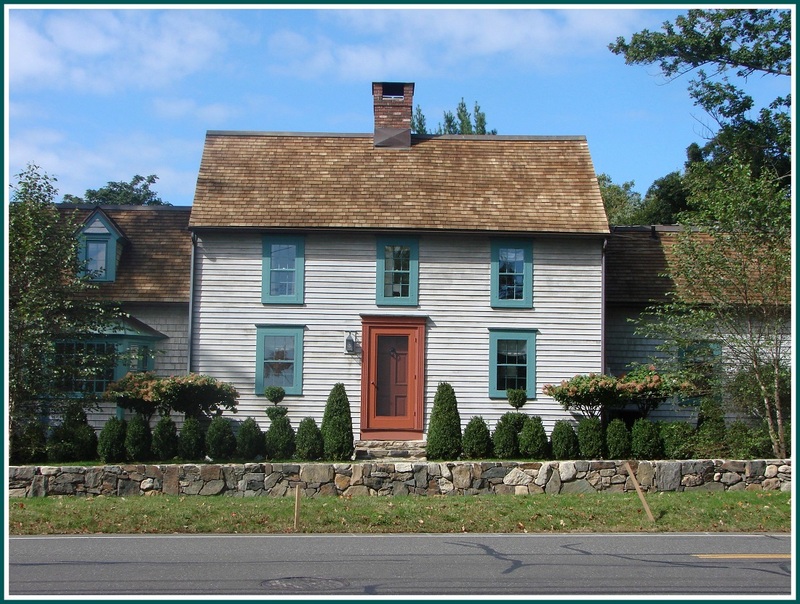 Next Monday (October 15, 7 p.m., town Hall auditorium), 1st Selectman Jim Marpe, Historic District Commission chair Francis Henkels and members of his committee will present the 2018 Historic Preservation Awards. The properties can be found all over town. They represent a variety of architectural styles. We should all be grateful, for all of them. When the Braxton Armstrongs purchased 17 Canal Street in 2002, they wanted to “honor the past while making the home comfortable for the future.” They kept all original windows, including the elaborate lunette windows on the gable ends, doors and clapboard visible from the street. They replaced all aluminum gutters with copper, and reinstalled a wooden shingle roof. They used antique knives to cut trim to match existing and lost trim on the façade, reused doors restored by soda blasting them, and reused hardware miraculously found in the basement. Throughout the project, they remained committed to the original architectural elements. 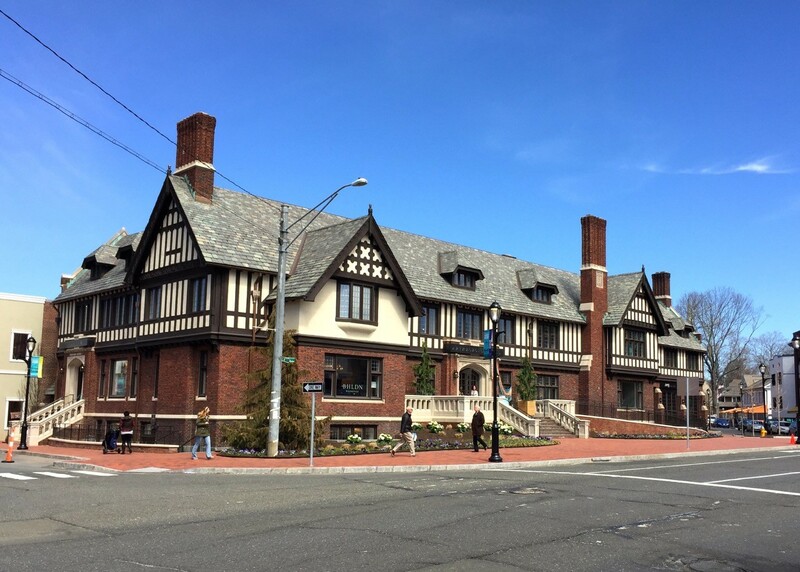 While the property is not a locally designated landmark, the owners consistently demonstrated their sensitivity to historic preservation and maintaining the integrity of this significant structure. 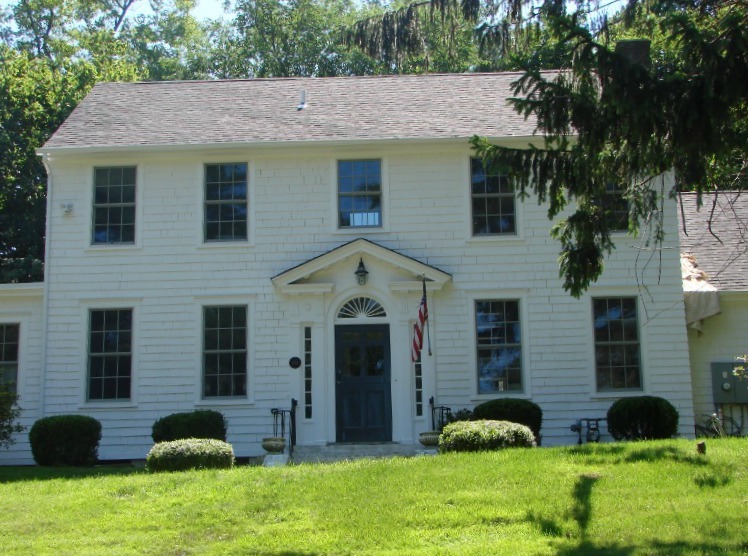 This house was built in 1812, after William Nash bought the property from Daniel C. Banks. It remained in the Nash family until the death of Polly Nash, when the property was sold to Samuel Elwood. 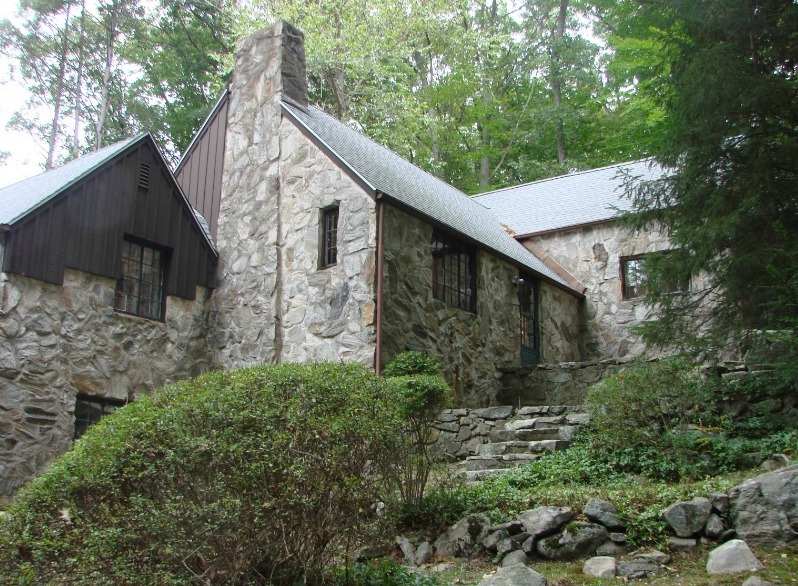 James Godfrey and Albert Fresenius owned the house in the 1920s. It has retained many of its original historic features, and evolved with sympathetic and modest side additions. 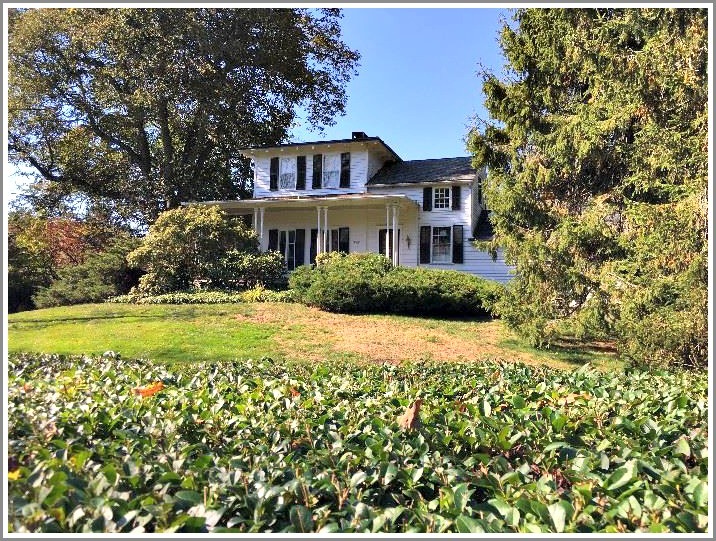 The current owners, who have lived in the house for just over a year, restored portions and carefully rehabilitated the front area of the house by removing obstructing vegetation and trees, and building a stone wall. 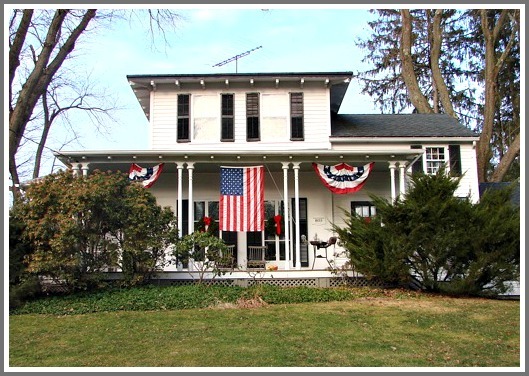 Now the beauty of the original Federal style house can once again be admired. This award is given in recognition of a significant contribution to the maintenance, preservation and conservation of the Kings Highway North Local Historic District in honor of one of Westport’s most prominent preservation advocates, Helen Muller. When the McGarveys purchased this prominent house in 2015, it came with an impressive history. 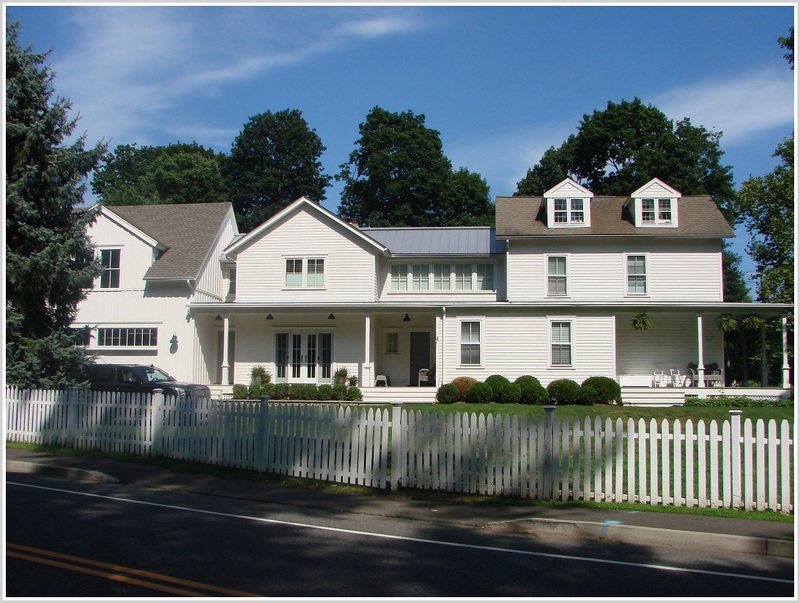 It is thought to have been designed by one of Westport’s most important local architects, Charles Cutler. 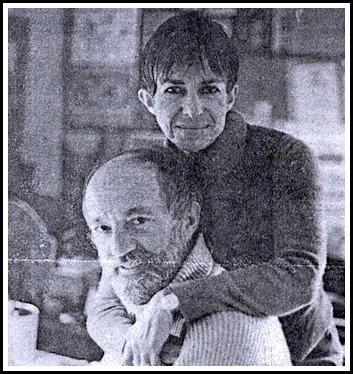 Barbara and Allan Raymond whose tireless devotion to the history of Westport is well known, lived in the house for 50 years. The McGarveys wanted to reconfigure the front yard and driveway to make it safer for their young family. 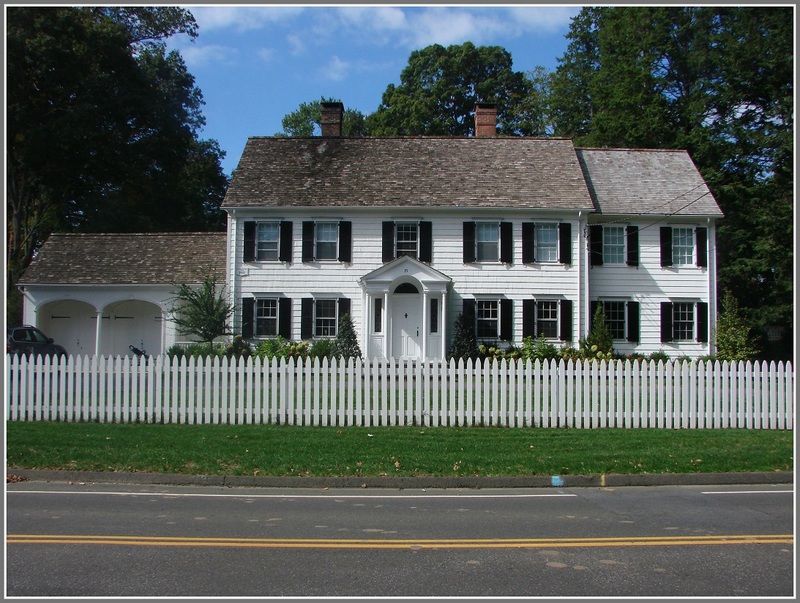 They installed a white wooden picket fence and circular drive with gates on either side. 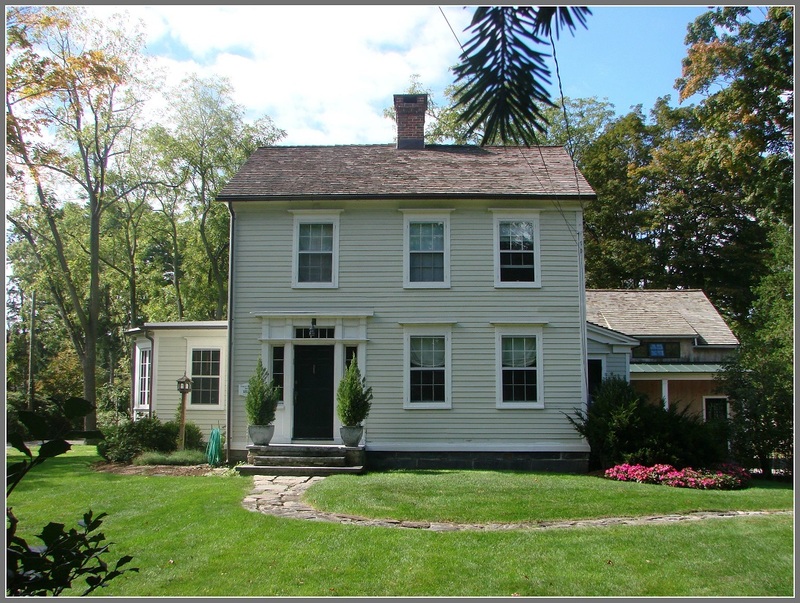 A 2-story addition complemented the original structure, with original materials, a matching cedar shingle roof and 6- over-6 wooden windows. The Raymonds would be pleased to know the McGarveys are now stewards of this treasured homestead. In 1690 William and Mary, reigning monarchs of England, bestowed a royal grant for a tidal basin known as Great Marsh. The decree allowed for private ownership of the land under the water located at the mouth of the Saugatuck River. To whom this grant was bestowed, remains a mystery. 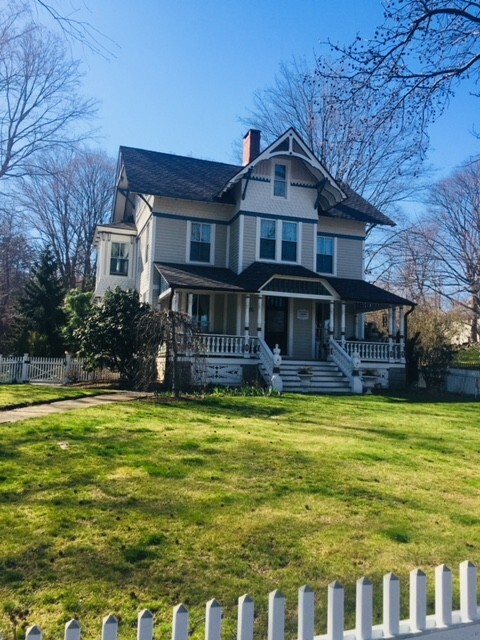 Not until 1893 did state records recognize a land transfer of the Great Marsh to Henry C. Eno, owner of a grand Queen Anne manor house on the abutting property. In 1887 he added a richly detailed stable situated alongside the tidal basin land grant. 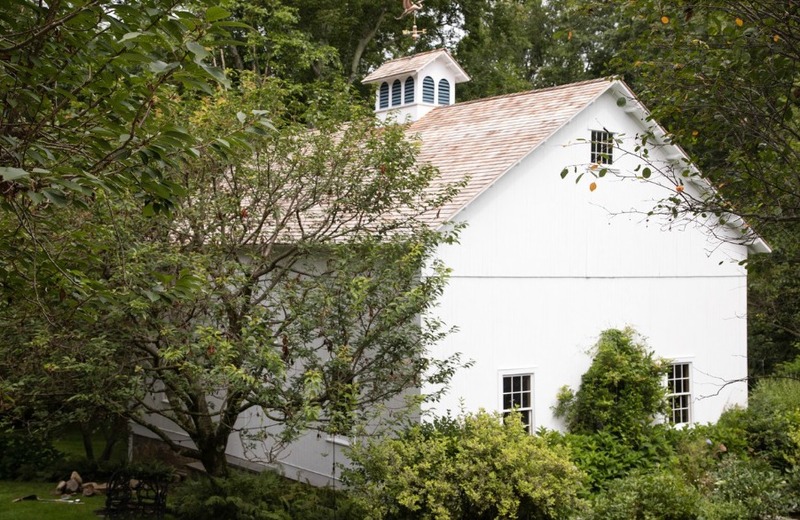 The picturesque board-and-batten sided stable is massed with a projecting gable pavilion, and double-leaf paneled loft doors on the 2nd level. A copper-roofed cupola accents the ridge of the gable roof. The original horse stalls and their accouterments remain, as does the distinctive herringbone patterned brick flooring where guests of J. Anthony and Frances Probst, third owners of “Great Marsh,” danced summer nights away. 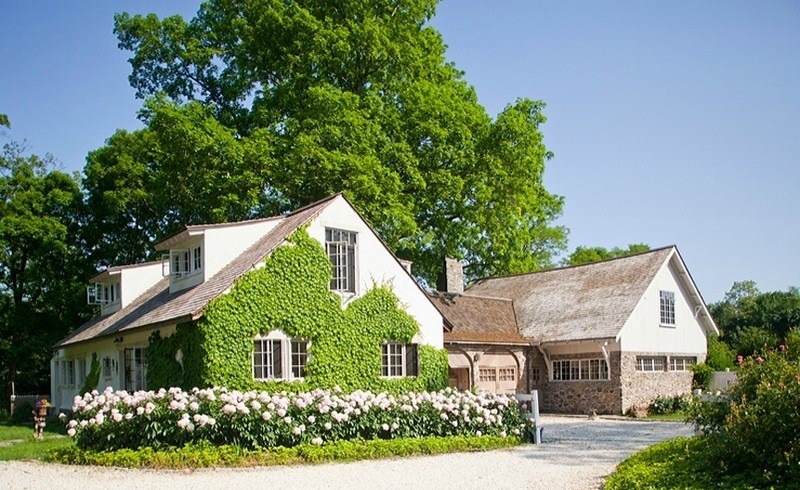 A reversal of fortune caused the family to sell the 100-acre estate. A marina was included in subdivision plans. Landscape architect Evan Harding designed what became Saugatuck Harbor Yacht Club. 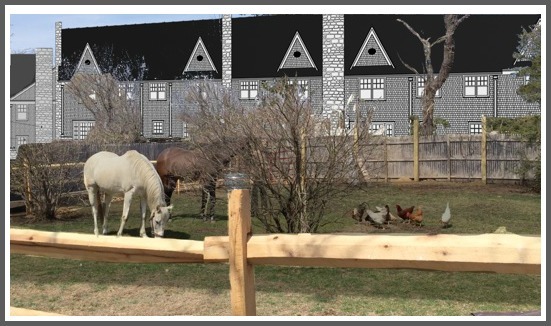 In keeping with the original aesthetics, the stable was converted to a clubhouse, with an addition and balcony added to the south end. The underwater marsh land was dredged to create a harbor, the first of its kind on the Eastern Seaboard to feature an underwater bubble system allowing boats to remain moored year-round. This spring, Chabad Lubavitch of Westport celebrated the grand opening of its space in the old Three Bears restaurant. The rehabilitation of this historic building was sensitive and creative. Exterior and interior architectural elements were preserved and restored. The renovation — designed by Robert Storm and carried out by Able Construction — encompassed over 9,000 square feet of the original property, and 10,000 square feet of complementary new construction. 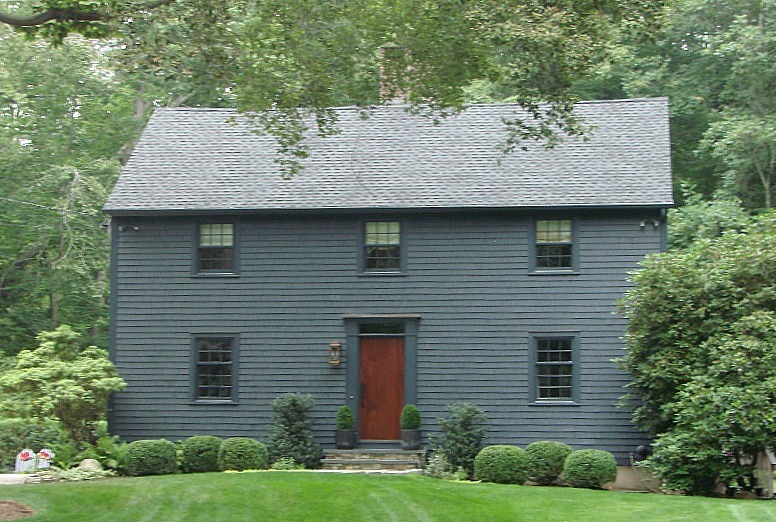 The project blends New England vernacular-fieldstone and shingle features with the historic core structure. The site that has served as a stagecoach stop, inn, restaurant is now a new Jewish center for prayer services, educational programs and meetings. 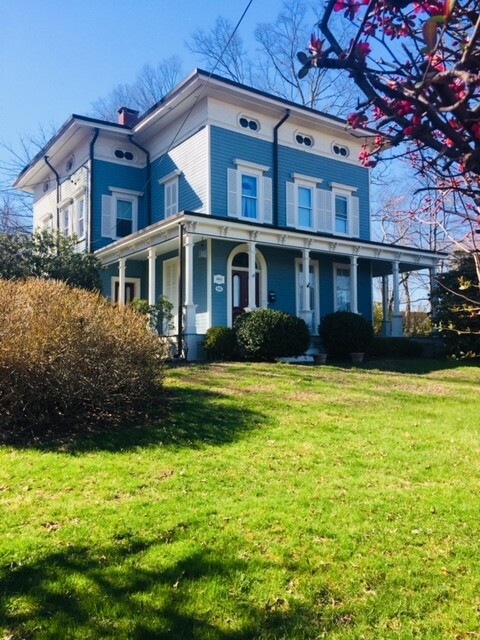 This Italianate-style c. 1880 house was built on land sold in 1879 by Isaac Allen to David Bulkley. 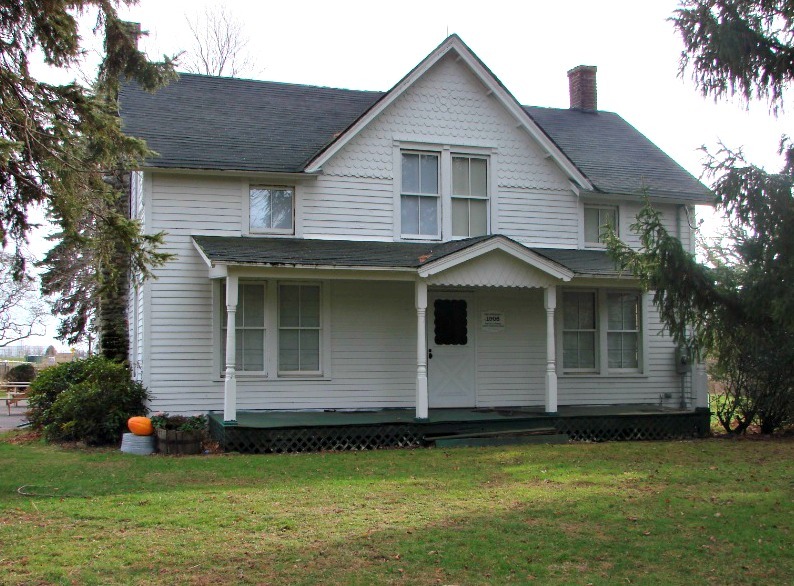 The carpenter built a gable-ended, side hall plan, 2-story original home. 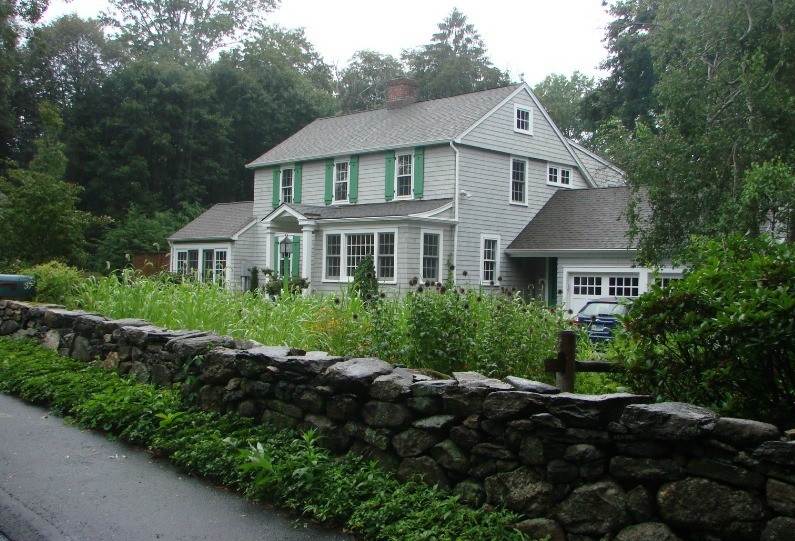 Current owners Veronica and Tom Hofstetter purchased the house in 2004. They made their first addition the next year, incorporating a new master bedroom, kitchen and enlarged basement. In 2017, the Hofstetters continued a 137-year-long tradition of stewardship by working with Vita Design Group. Their commitment is a good example of expansion to an existing historic structure in a manner that reflects appropriate design details. The house is a contributing resource in the Bridge Street National Register Historic District, established earlier this year. Cynthia Wallace acquired the property in 1960, and has been its faithful steward ever since. 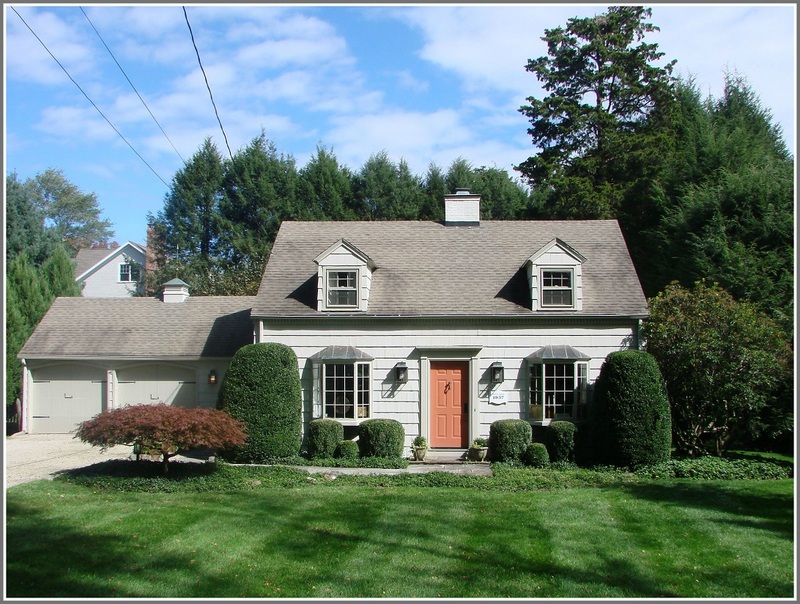 This home is a circa 1937 1 1/2-story Cape Cod, a loosely based Colonial Revival style with origins in the simple wooden folk houses of New England. It is a rectangular plan building with a symmetrical façade and center entrance. A brick chimney interrupts the asphalt shingle sheathed roof. The exterior is clad in wood shingles. The attached 2-bay garage, presumed to be a later addition, has carriage doors and an entry door. A rear dormer has been added. The award acknowledges the contribution an architectural archetype of the mid-20th century has made to our present suburban landscape. The HDC cites this as an example of how, with sensitive modifications — including expansion, care and maintenance — a house of a different era, though not that long ago, can represent what a good neighbor can be. It’s hard for us to imagine today the difficult problem that rivers, streams and brooks posed for Westport’s early settlers and travelers. At first, traversing even small tributaries required getting wet. Later, rudimentary crossings were built so that carriages and wagons could manage the steep approaches, rocky bottoms, and wetland mud without tipping over, snapping axles, or becoming mired. These overpasses became more problematic in the early 20th century, when the automobile came into fashion. Smoother transitions across Westport’s many brooks — most notably Willow, Muddy and Deadman’s — were needed. 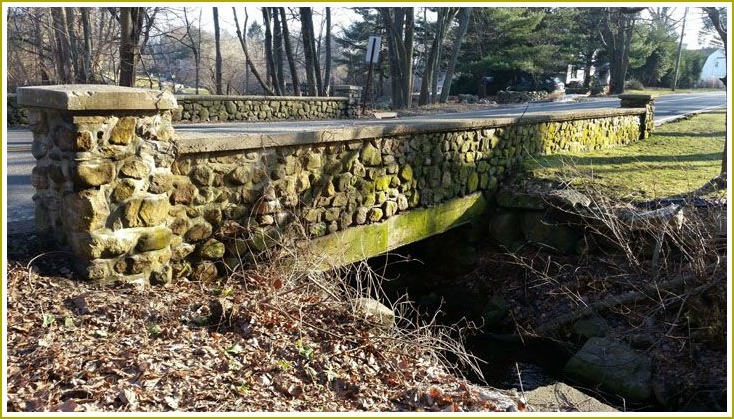 Which brings us to Westport’s early stone bridges. Around 1920, a series of 19 Craftsman-style stone bridges were built throughout town. Nearly a century later, 9 remain. That’s a remarkable number considering they’ve seen nearly 100 years of use. They’ve survived hurricanes and “100-year storms,” and endured the collisions of decades of distracted drivers. Today we pass over these bridges daily. Yet few of us notice their rustic presence. Their stone walls (“parapets,” in bridge lingo) were designed to convey the sense of a park-like setting — an aesthetic popular at the time. 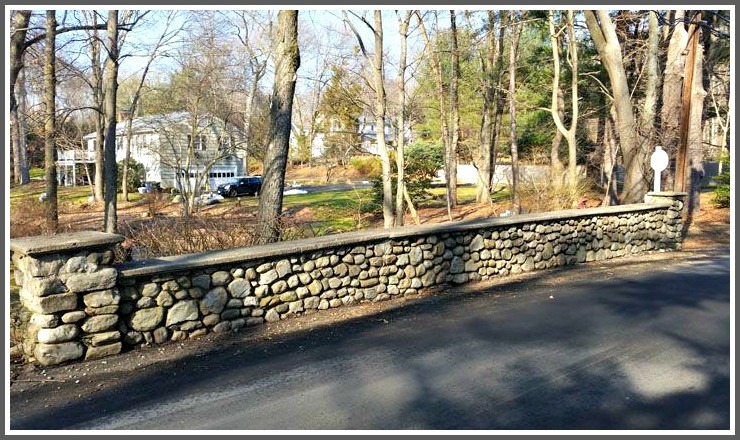 Most blend seamlessly into the roadside landscape, often appearing to be mere continuations of Westport’s many fieldstone walls. They are simple, folkloric, and historically important. And they are at risk. One of them in particular — on Kings Highway North — has a target on its back. The town has hired a firm to design its replacement. 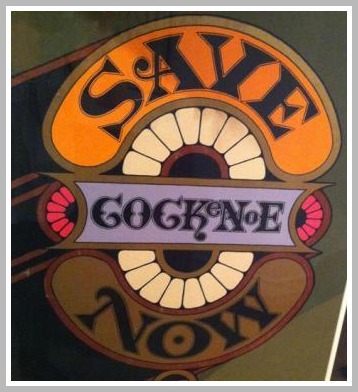 This concerns me and my fellow Westport Preservation Alliance colleagues Morley Boyd and Helen Garten. We are pushing back against the replacement plan favored by the town’s Public Works Department. We’ve also made a pitch to the town to collectively nominate all 9 bridges for listing on the National Register. While we would love to see all 9 bridges thematically nominated, we’re especially worried about the Kings Highway North Bridge over Willow Brook. It matches the style of the other 8 bridges. More importantly, we believe it may have been built atop even older stone abutments. 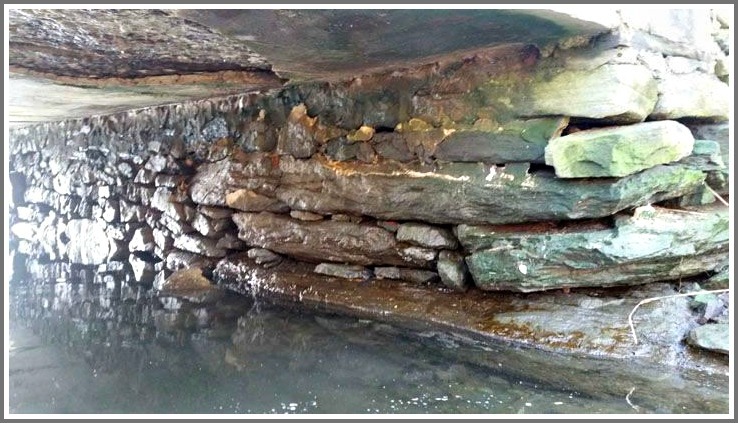 It’s possible that its enormous foundation stones may date back to the original King’s Highway, built in 1673 to carry mail from New York to Boston. Losing this bridge to a modern replacement would be tragic, especially if portions date back to pre-Revolutionary times. We’re also concerned that the other 8 bridges will confront a similar replacement plan “down the road.” That’s why we’ve suggested the town pursue a National Register designation. This will help protect the bridges — and may also make them eligible for rehabilitation grants. To become eligible for a National Register listing, the history of these structures would be fully researched. 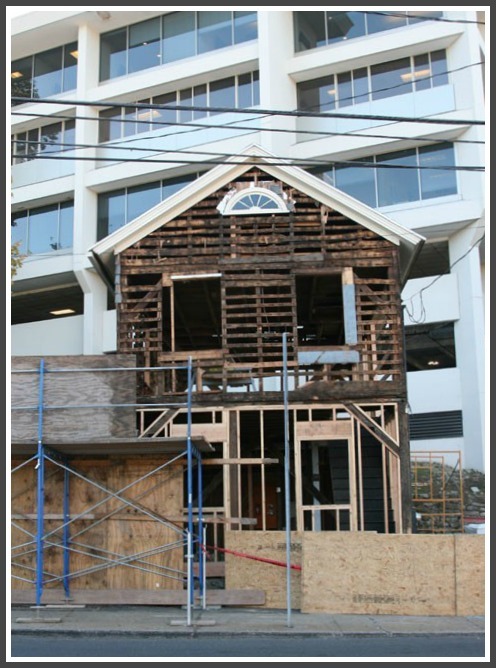 State Historic Preservation Grants are available to conduct this work. We feel that these very special bridges possess the integrity of location, design, setting, materials and workmanship to qualify for this distinguished honor. On a more visceral level, the preservation of these bridges will allow us to appreciate the human craftsmanship that went into building them. By picturing the crew of local men who lifted each stone by hand and mortared them in place, we’ll not just notice these bridges — we will feel them. The locations of 4 of the 9 bridges have been identified above. Do “06880” readers know where the other 5 are? See if you can find them as you drive around town (or, for the expats, as you travel down Memory Lane). 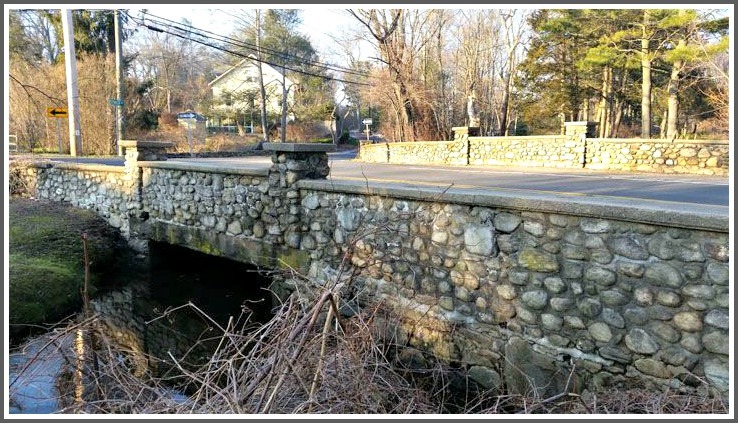 Tomorrow (Tuesday, January 9, 7 p.m., Town Hall Room 309), our request that the Town pursue a National Register listing for these nine early 20th Century bridges will be heard by Westport’s Historic District Commission at its public hearing. We hope they are willing to cross that bridge when they come to it. For several days, Westporters watched with mounting concern as 1 Wilton Road — the little building at the always-clogged intersection with Post Road West and Riverside Avenue — was slowly reduced to its skeleton. This morning, “06880” posted reader Wendy Crowther’s concerns. 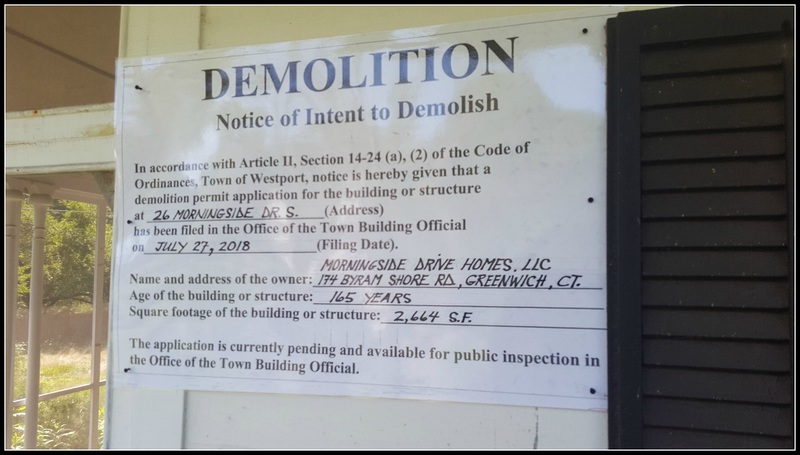 Following a site visit today that included a Westport building official, the Westport Historic District Commission, the owner of 1 Wilton Road, a representative from the Westport Preservation Alliance and other interested parties, it was agreed that the scope of work done represents a demolition. 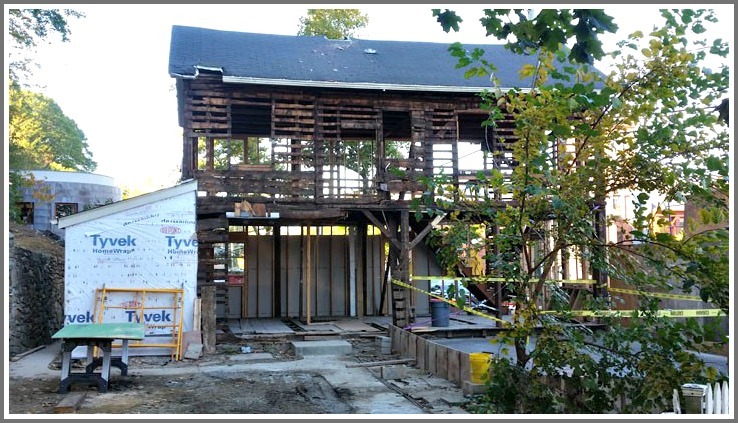 Consequently, the work will be temporarily halted on the original structure (although construction of an addition will continue) while the owner obtains a retroactive demolition permit. The demolition permit will be subject to an automatic 180-day delay period because the building is over 50 years old. 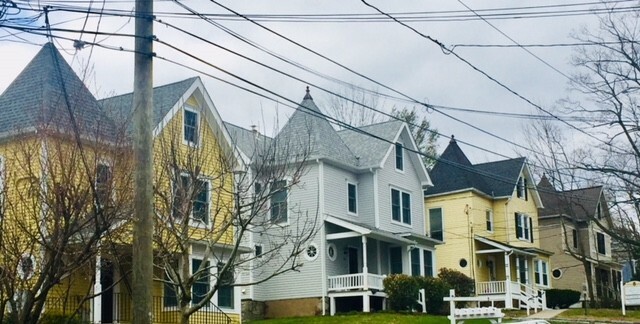 A waiver of the balance of the 180-day delay period will be reviewed at the Historic District Commission’s regularly scheduled public hearing on November 14. At that hearing, the public will have an opportunity to directly comment on the matter. It is hoped that the owner of 1 Wilton Road will now consider reconstructing more of the structure’s original appearance so as to preserve some historic continuity and to permit the building to read as the beloved house that has witnessed so much change itself. 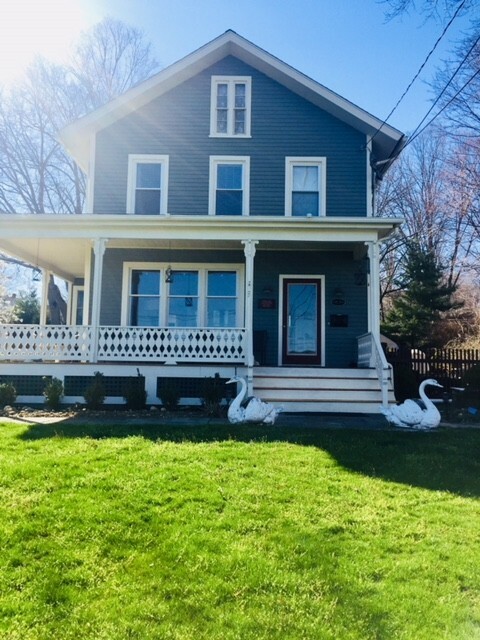 If you love this quaint and undeniably historic house, we encourage you to continue to weigh in, both here on “06880” and at November’s HDC public hearing. 1 Wilton Road, before the demolition. 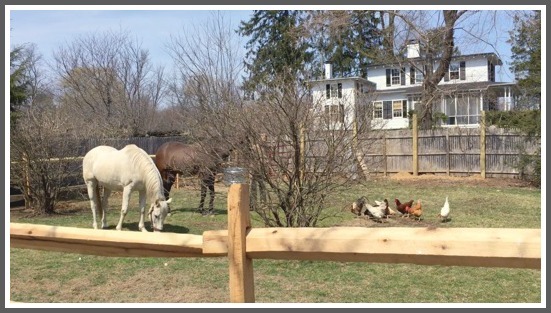 Earlier this month, “06880” reported on 1 Wilton Road. 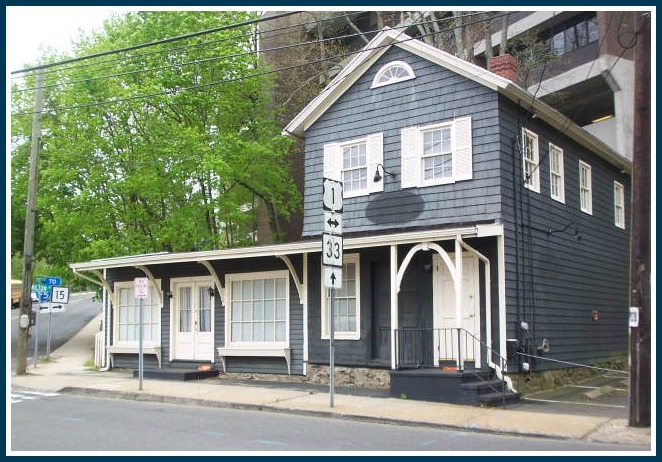 The quaint little building at the traffic-choked intersection with Post Road West and Riverside Avenue was going to be renovated by — and serve as headquarters for — the Vita Design Group. Morley Boyd and I have been watching the goings-on at 1 Wilton Road. We are disturbed by what has been happening there. Plenty of others have come to us expressing similar concerns. We’ve been looking into it, and thought readers might be interested in knowing a little more. 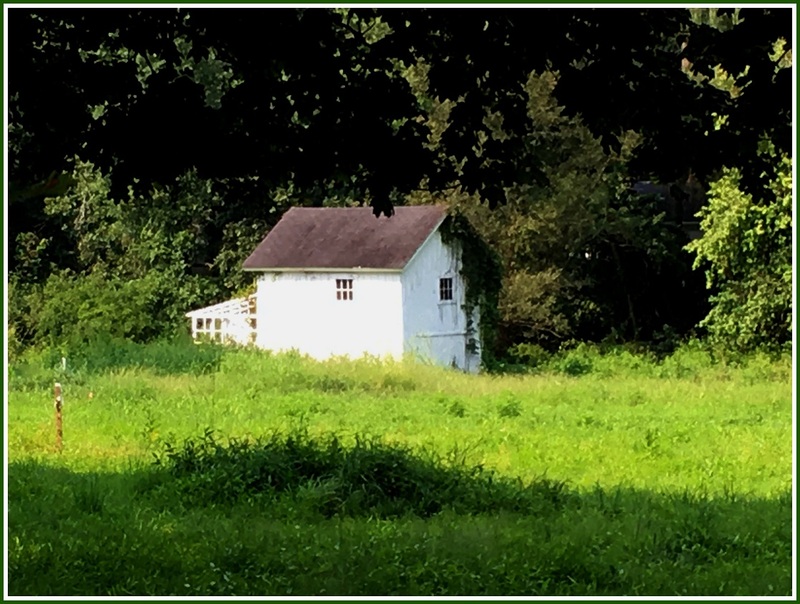 The little house was built in 1830 – 5 years before Westport was founded — and is listed on the National Register of Historic Places. 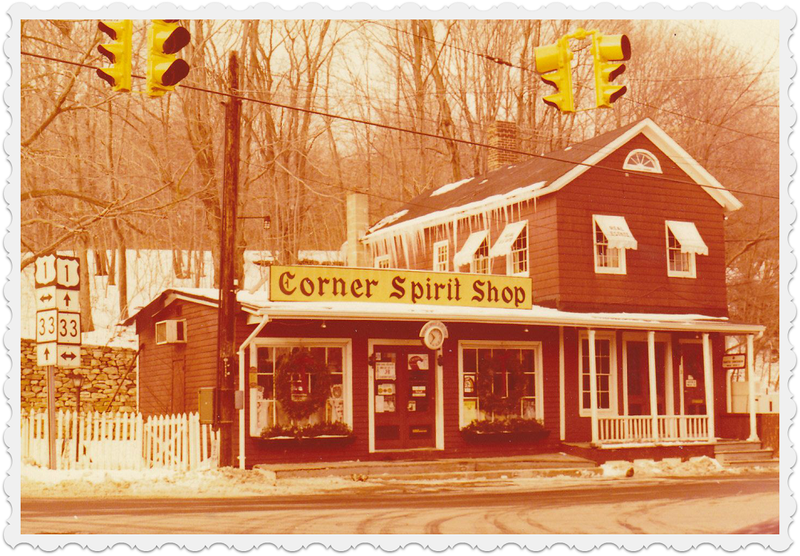 It’s been a grocery store, a vulcanizing business, a tire and battery emporium, a spirit shop and a knitting supply source. But now it’s been shorn of its charming 19th century Italianate-style side addition, and just about everything else too — doors, windows, walls, siding, even the chimney – as part of a redevelopment project. Though the owner has characterized this as a renovation, many Westporters have asked if this is actually demolition. The Historic District Commission says yes. The Building Department says no. Either way, one thing is clear: The intersection that Westporters love to hate was, until recently, pretty well preserved in terms of historic streetscape. With the major changes coming to 1 Wilton Road, the loss of this building’s original features and charming qualities will no doubt be missed by many.